A good Kenosha preschool will do its best to teach your toddler to read during the day but we recommend complementing the preschool’s curriculum with reading at home as well as other tips to improve reading skills in small children. 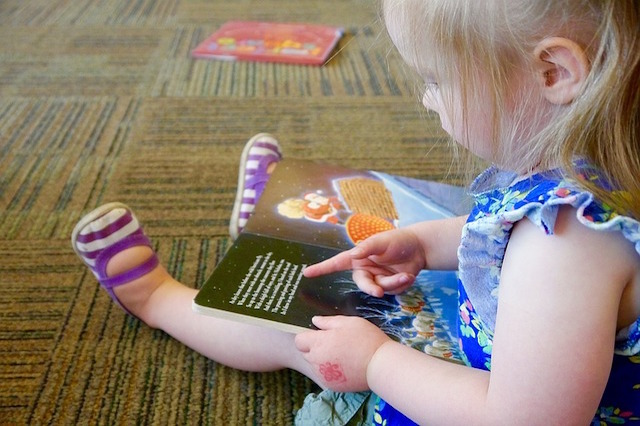 Helping your child with reading is one of the best ways to prepare for preschool. A parent’s role in teaching children to read cannot be underestimated. You can help your preschooler excel in reading and vocabulary early if you practice some of the ideas we listed below. Follow these tips to teach your preschooler to read and he or she will have a much easier time during the day. The best way to teach your child to read and help them learn words, spelling, ABCs and vocabulary is to read with them as much as possible. One of the best times to read with your preschooler is right before bed but you can also read a book or two instead of watching a TV show or if you are the passenger in a car ride you could use that as an opportunity to read with your small child as well. More is better when it comes to spending time reading books with toddlers and preschoolers. During reading, give each character a different, funny voice and try to read with energy and enthusiasm. This will be much more engaging for a small child and you will find them much more eager to read with you instead of watching TV or a tablet. The more fun reading is the more often it will happen in your home. During reading, ask your child questions about the book you are reading. See if they understand what is happening or ask them what they like about the book or who their favorite character is. The more your child is engaged with the book the better chance he or she will retain the reading happening. Some nights your child simply won’t want to read. You can try to encourage them a little but we recommend not forcing the issue. You want reading to be associated with happiness and fun and if your child feels forced to read he or she will begin to reject it and it will be much more difficult for them in preschool. Try to set a good example for your preschooler and read for your own entertainment in front of them. Perhaps when they are relaxing with a movie or TV show or playing a board game you can use that opportunity to read your own novel or book in front of them. Children often mimic their parents and if a parent is continually reading there is a good chance your son or daughter will want to too. Cornerstone Academy in Kenosha emphasizes reading and vocabulary in our educational programs for small children. With help from parents and home, learning to read can be an enjoyable experience for toddlers and small children. These tips to teach your preschooler to read will increase the chances of fostering a love of reading in your small child.